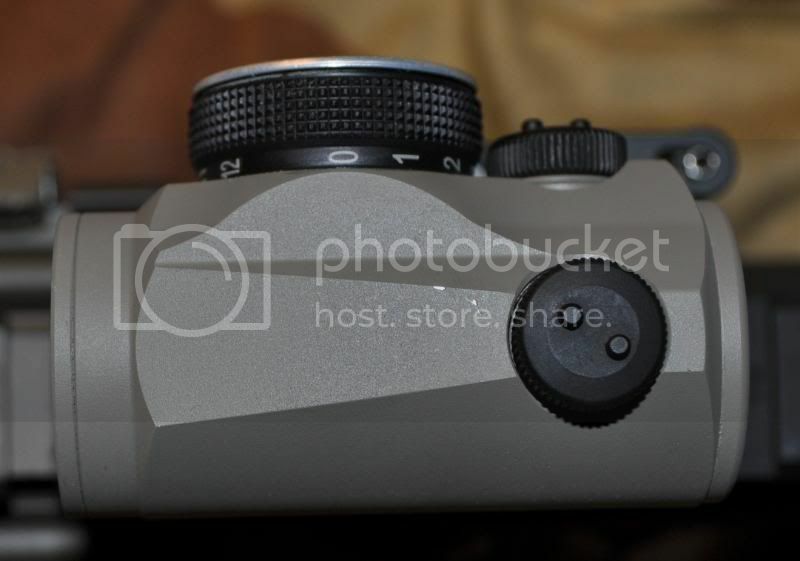 You are looking a Aimpoint R-1 that was purchased for around $300 bucks and duracoated Magpul FDE. 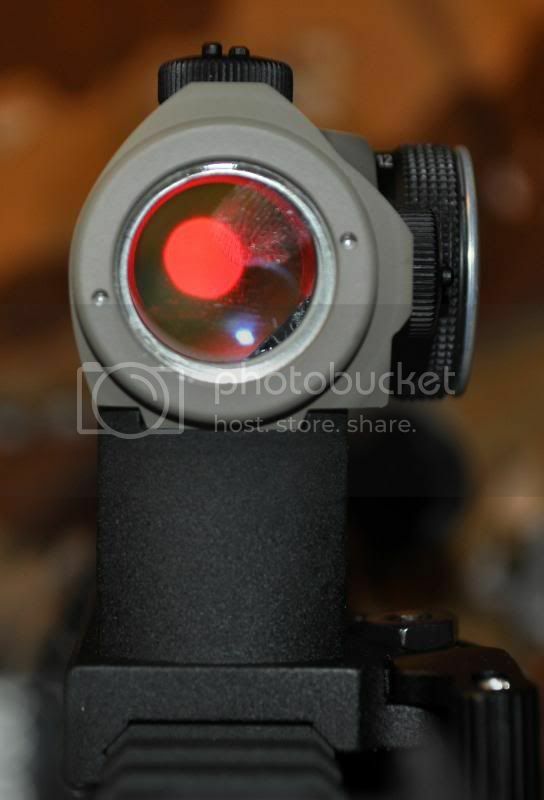 These sights are the same as the H-1 but come from the afctory silver. 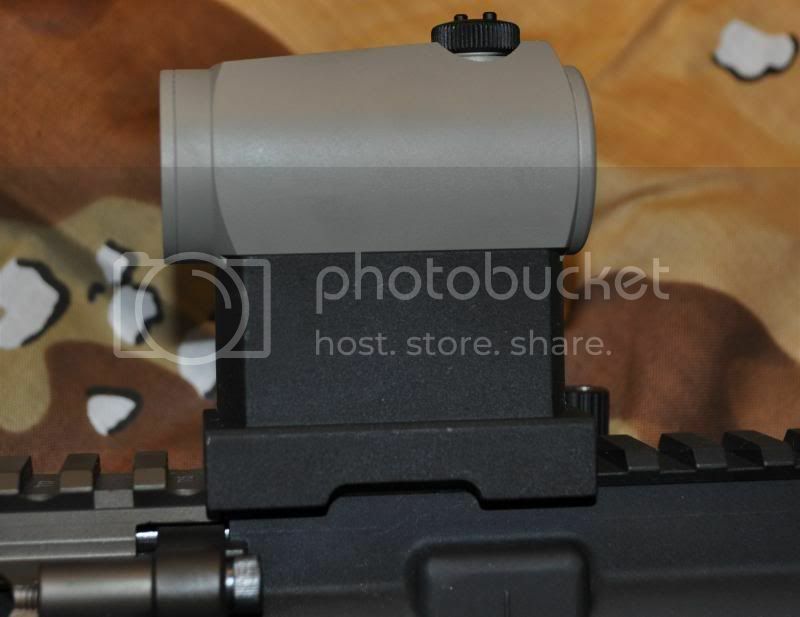 Aimpoint has discontinued this sight so you can find them at really good prices. 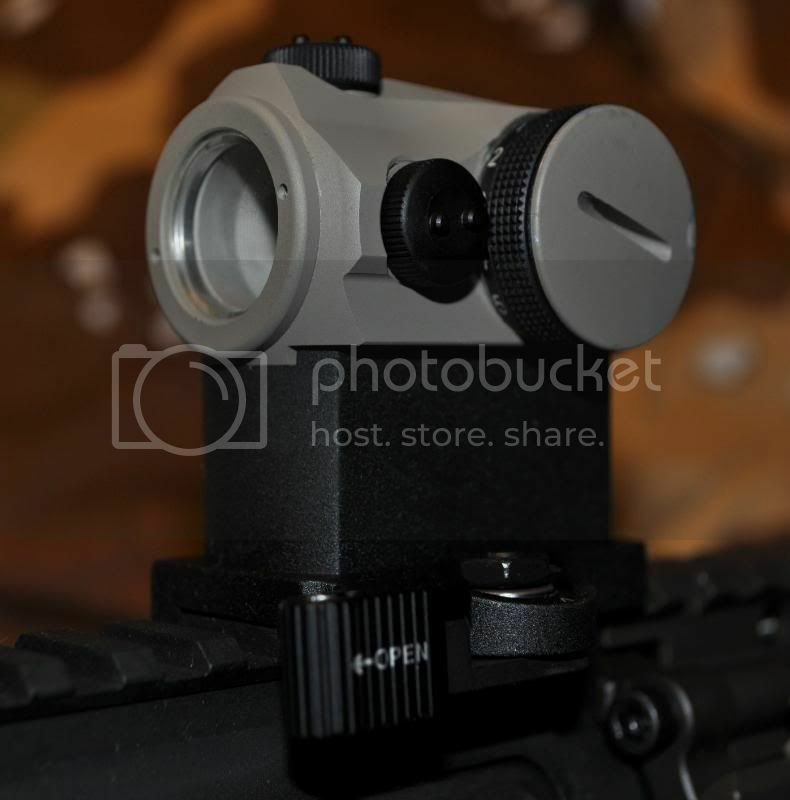 It is mounted to a Larue Tall mount (LT660) that runs $98. Finished product with mount in still $150 cheaper than a stock H-1. This site has seen a few days at the range and the duracoat finish has held up pretty well. Reticle is alot smaller than pictured.